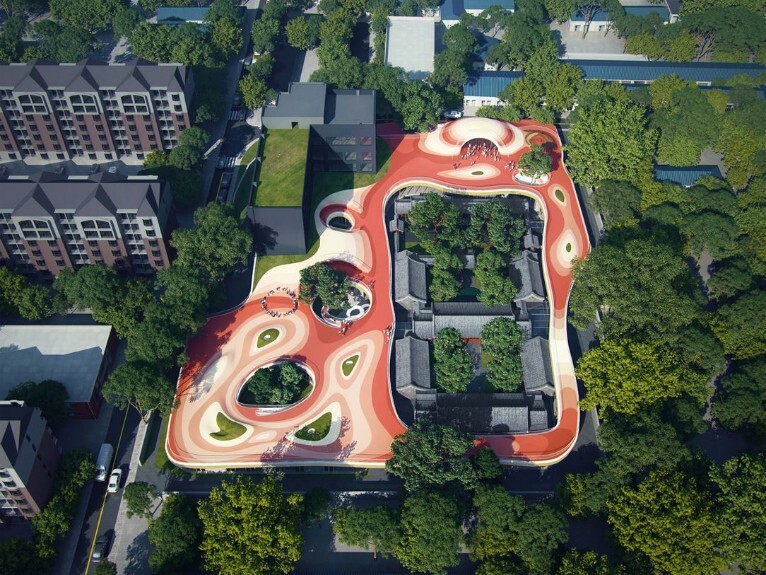 Beijing-based design practice MAD architects led by Ma Yansong has unveiled its scheme for the upcoming “Courtyard Kindergarten”, currently under construction, which will be located within a traditional siheyuan courtyard in Beijing that dates back to 1725. In its entirety, the “Courtyard Kindergarten” reveals several architectural elements (a modern building from the 90s, and a traditional courtyard from 400 years ago) that initially seem to be conflicting. MAD’s scheme inserts a new building that protects and also restores the existing buildings, creating a new kind of interaction between them. 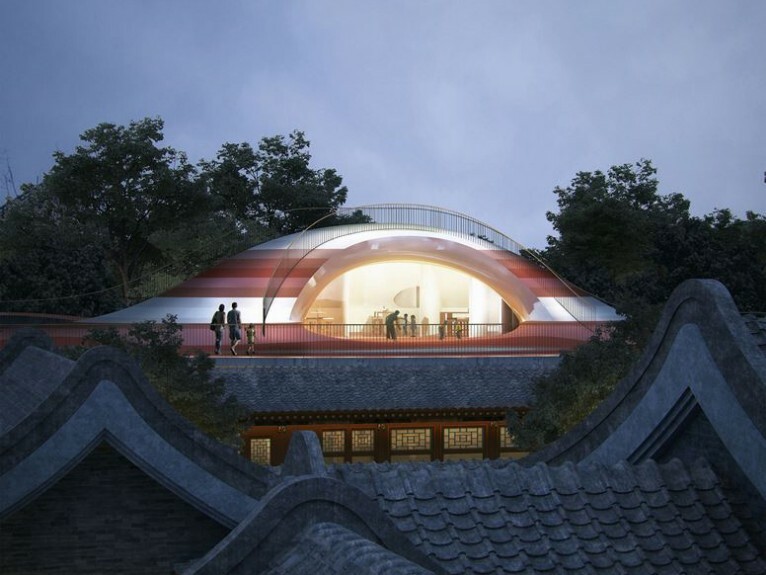 The design features a dynamic floating roof that surrounds the historic courtyard. While preserving the cultural heritage of the site, it forms a multi-layered urban narrative, where old and new co-exist. 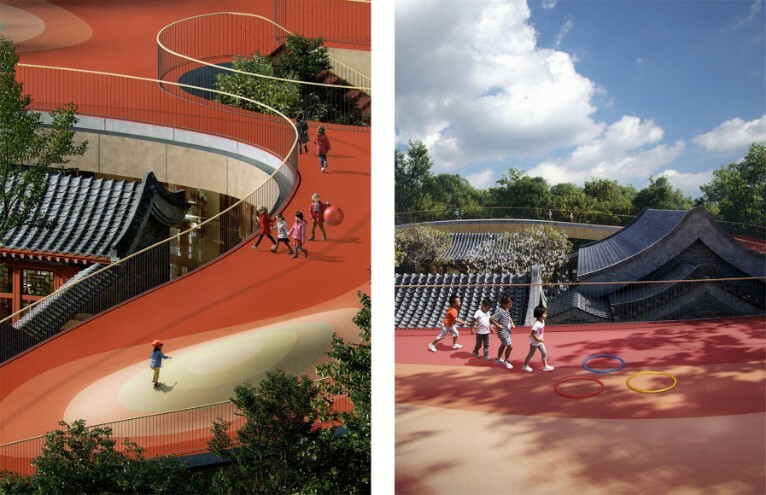 Below the floating roof, MAD has designed the interior of the kindergarten as an open-concept layout that serves as a teaching space, library, small theater, and gymnasium. 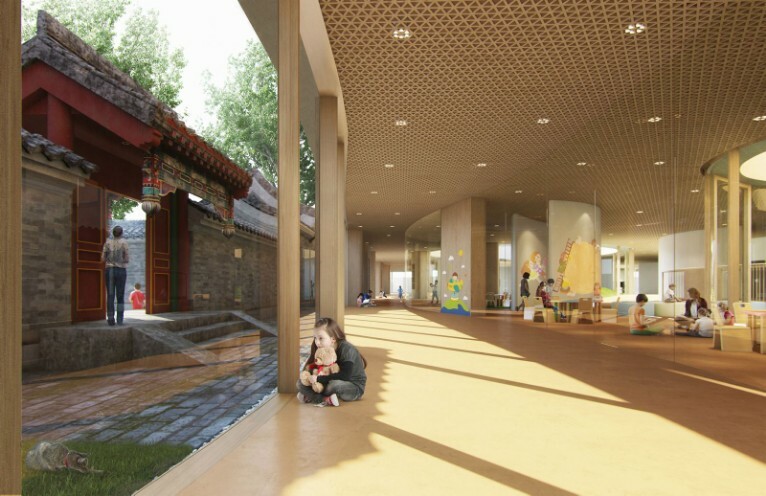 The openness of the space offers a free and inclusive atmosphere, and functions as the daily education space for 400 children between the ages of 2-5. Positioned adjacent to the old courtyard, the new learning space opens towards the historic buildings. This gives the children alternating views between old and new, deepening their understanding of time and dimension. “There is a saying in old Beijing when children are naughty: ‘if you go three days without being punished, the roof will cave in”, says MAD principal Ma Yansong. In turn, the new building also has been realized to respect three, ancient trees on the site. It envelopes them in a way that while preserving their presence, also echoes the existing courtyard space, bringing the outdoors in, and flooding the interior with natural sunlight. 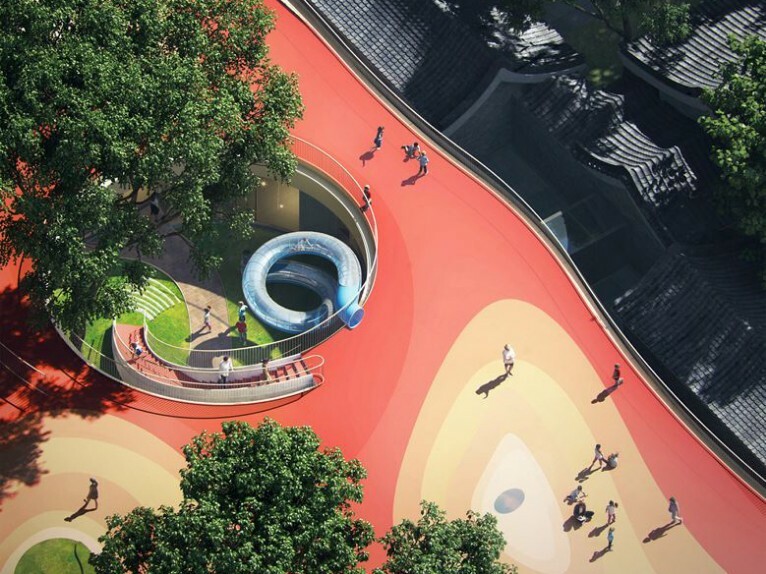 The Courtyard Kindergarten is expected to be completed, and functioning in autumn of 2019.